For the first time in his career, Steven Spielberg directed an animated film with 2011�s The Adventures of Tintin. Based on the long-running Belgian comic book, we meet a young man named Tintin (voiced by Jamie Bell) and his faithful dog Snowy. Tintin works as an intrepid reporter who encounters unexpected drama after he purchases a model ship at a market. It turns out that this is no ordinary miniature boat. It contains a coded message that could lead to a major treasure. Tintin and new compatriot Captain Haddock (Andy Serkis) forge ahead to discover �the secret of the Unicorn� � and to do so before nefarious Sakharine (Daniel Craig) beats them. I admit that I went into Tintin with a lot of trepidation. For one, I didn�t think the source material sounded especially interesting, and for another, I tend to dislike the animation style featured in the film. This form of motion capture tends to be creepy and off-putting, so its use here didn�t inspire me with hopes of greatness. Indeed, the animation remains the movie�s biggest weakness. What�s wrong with more traditional styles of animation for a film like this? What does mo-cap bring to the table that would make Tintin better in that form? I have no idea, and I think the flick would�ve been more visually appealing had it opted for cel animation or even �regular� CG ala the Pixar flicks. The �almost photo-real and human but not quite� look of Tintin becomes more of a distraction than I�d like. However, this doesn�t become a fatal flaw, as the flick�s sense of fun and adventure tends to carry the day. While not on a par with the director�s classics, Tintin gives us a Spielberg who just wants to create a fizzy soda. Spielberg doesn�t feel encumbered with the need to produce Cinematic Greatness. Instead, he just wants to deliver a light, rousing good time ala Raiders of the Lost Ark. And he mostly delivers, with obvious nods toward that 1981 classic. 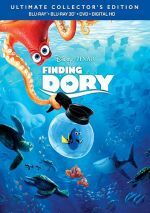 The film definitely emphasizes adventure and thrills over everything else, and it�s nice to see Spielberg cut loose. Even when he does action movies these days, he seems to feel a need to make them darker, but that�s not an issue here. 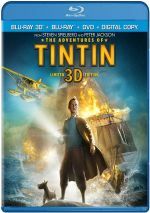 While not a �kiddie movie�, Tintin has a generally family-friendly feel and lightness about it. With nothing but fun on his mind, Spielberg gives us a real romp here. The movie packs a good mix of action and intrigue along with a consistent series of enjoyable characters. Actually, I must admit Tintin himself is a bit of a drag. He�s simply not a very intriguing personality and he becomes the flick�s least involving element. Nonetheless, the story surrounds him with plenty of others, and they add zest. In particular, Captain Haddock helps carry the film. Though not the most three-dimensional character, Haddock is a lot of fun, and he even adds some heart to the tale. The movie picks up considerably when Haddock enters and it rarely slows after that point. All of these factors add up to a rollicking good time. Tintin doesn�t qualify as a true Spielberg classic, but it�s still a delight. The Adventures of Tintin appears in an aspect ratio of approximately 2.35:1 on this Blu-Ray Disc. Expect a terrific presentation here. Overall sharpness looked strong. A smidgen of softness crept into a couple of wider shots, but those instances were infrequent. Instead, the majority of the image was tight and concise. I noticed no shimmering or jaggies, and edge haloes remained absent. As expect, the movie lacked print flaws or any form of defects. Colors didn�t dazzle but they seemed representative of the film�s design. Tintin tended to go with somewhat low-key hues, and these appeared full and rich within their constraints. While they didn�t seem killer, they were solid for what they wanted to do. Blacks appeared deep and dark, and shadows showed nice clarity. Across the board, the image satisfied. Similar thoughts greeted the DTS-HD MA 7.1 soundtrack of Tintin. Actually, the film�s audio during its first act was a little more subdued than expected, but the soundscape kicked into higher gear as the movie progressed. With a wide variety of action sequences, the mix managed to deliver quite a lot of engulfing material; in particular, battles at sea tended to give us a broad, impactful auditory experience. Music seemed warm and dynamic, with good kick. Effects followed suit, as those elements contributed accurate, vivid material. Speech was always natural and distinctive. Though it started out a bit slowly, the track ended up as a real winner. This package includes both 2D and 3D versions of Tintin. The comments above reflect the 2D presentation � how did the 3D compare? In terms of visual quality, both looked a lot alike. The 3D took a minor hit in regard to brightness, but this wasn�t a substantial issue, so it offered excellent picture quality overall. As for the stereo imaging, Tintin managed a lot of fun moments. With a number of action scenes and flying elements, we got many chances for involving 3D material, and the film took advantage of these well without a gimmicky feel. Basic depth also fared nicely, so the movie consistently brought out a fine sense of atmosphere. The 3D added to the tale and became the best way to watch Tintin. When we head to extras, we get 11 featurettes. Because the disc gives us a handy �play all� option, I�m going to treat them as one long program, but I�ll still list the breakdown of specific chapters. In this one-hour, 36-minute, 20-second compilation, we find �Toasting Tintin: Part 1� (1:18), �The Journey to Tintin� (8:54), �The World of Tintin� (10:46), �The Who�s Who of Tintin� (14:18), �Tintin: Conceptual Design� (8:38), �Tintin: In the Volume� (17:54), �Snowy: From Beginning to End� (10:11), �Animating Tintin� (11:00), �Tintin: The Score� (7:01), �Collecting Tintin� (3:58) and �Toasting Tintin: Part 2� (3:12). Across these, we hear from director Steven Spielberg, producer/2nd unit director Peter Jackson, producer Kathleen Kennedy, biographer Michael Farr, screenwriters Edgar Wright, Joe Cornish and Steven Moffat, executive producer Stephane Sperry, Weta Digital executive producer Eileen Moran, conceptual design supervisor Richard Taylor, conceptual designers Robert Baldwin, Rebekah Tisch and Frank Victoria, lead conceptual designer Chris Guise, visual effects supervisors Matt Aitken and Scott E. Anderson, art director Jeff Wisniewski, co-producer Jason McGatlin, motion capture supervisor Dejan Momcilovic, production supervisor Matt Madden, key makeup artist Tegan Taylor, VFX producer Meredith Meyer-Nichols, property master Brad Elliott, digital assets manager Connie Kennedy, props database Jeremiah Small, stunt coordinator/movement coach Terry Notary, stunt coordinator Garrett Warren, editor Michael Kahn, animation supervisors Jamie Beard and Paul Story, senior visual effects supervisor Joe Letteri, Snowy vocals editor Justin Webster, VFX art director Kim Sinclair, composer John Williams, and actors Gad Elmaleh, Jamie Bell, Nick Frost, Simon Pegg, Cary Elwes, Andy Serkis, Daniel Craig, Toby Jones, Daniel Mays, Mackenzie Crook, and Enn Reitel. We learn about the source property�s path to the screen and various challenges along the way, the style of animation used and technical issues, facts about the world of Tintin and its characters, story/script development, cast and performances, visual design, sound and music, shooting 3D, and related merchandise. Expect a good recap of the production and connected topics here. I�ll always bemoan Spielberg�s refusal to record audio commentaries, but he tends to compensate with good documentaries, and this collection of featurettes adds up to a strong overview of the relevant subjects. 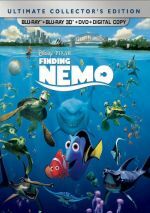 Throw in lots of behind the scenes footage � as well as delightful test footage of Peter Jackson as Haddock � and this compilation delivers a solid informational experience. In addition, a second disc throws in a DVD copy of Tintin. It lacks any of the Blu-ray�s extras. While I expected The Adventures of Tintin to be a bit of a dud, I found a pretty good movie. The flick shows a nice sense of spirit and adventure as it delivers a fun, light romp. The Blu-ray comes with strong picture and audio as an informative collection of featurettes. I�d like more in-depth supplements but still think Tintin is worth your time, and the 3D version becomes the strongest way to watch it.